Pétur was born in Reykjavík, Iceland. He began his singing studies in Iceland but moved to the Netherlands in 2009 to study with Jón Þorsteinsson at the Utrecht Conservatory. He has participated in many choir and solo projects in the Netherlands. 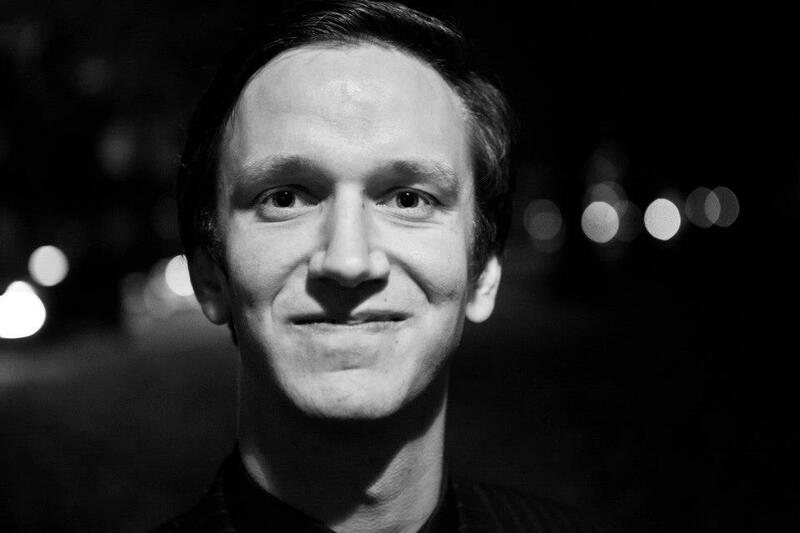 Pétur have for example participated in two productions of Yo-opera, joined a chamber choir for Il prigioniero by Luigi Dallapiccola in Het Muziektheater Amsterdam, Meesters en Gezellen with Nederlands Kammerkoor, Orfeo ed Euridice at Palais Soestdijk, internship with Groot Omroep koor in Brahms Requiem, sang the role of Sarastro in Die Zauberflöte and the bass solo in Weihnachts Oratorium by J.S. Bach as a school project. In March 2013 Pétur sang the role of Cazumba in the opera A Vingança Cigana by A.L. Moreira. He recently participated in a Masterclass withJohannette Zomer. Pétur is a member of the vocal ensemble Olga. Ksenija Celner is a young Serbian soprano residing in the Netherlands. The season 2013/2014 brought several exciting projects for Ksenija. Next to the La serva padrona, she performed the soprano solo in the Weinachts-Oratorio by J.S. Bach during with the Utrecht Conservatory Choir & Orchestra, as well as the role of Contressa di Folleville in Rossini’s master piece Il viaggio a Reims. Furthermore, lead role of Pepa the Gypsy in A.L. Moreira’s A vingança da Cigana and Serpina in J.B. Pergolesi La serva padrona. In 2013 she successfully performed the role of The first Lady in Mozart's Die Zauberflöte under the direction of Hans Leenders. She debuted with the role of Palès in Lully's opera Cadmus et Hèrmione in 2012. In June 2012 she performed both the roles of The First Lady and The Spirit in Purcell's Dido and Aeneas with Nieuwegeins Kamerkoor under the direction of Willeke Smits. She sung soprano I solo in the Vivaldi's popular motet Gloria RV 589 with Utrecht Conservatory Choir & Orchestra. Ksenija attended several master classes with specializing in the baroque repertoire. Most notably with Dame Emma Kirkby, Johannette Zomer, and Deborah York. Miss Celner is currently pursuing her Master studies at the Utrecht Music Conservatory in the class of Charlotte Margiono. studies with Jón Þorsteinsson at the Utrecht Conservatory. He has sung the roles of Monostatos in Mozart’s Die Zauberflöte as well as Adam in Carlijn Metselaar’s In the Beginning. Bjarni grew up in the countryside of Iceland and spent a lot of time working on his grandparents’ farm. His greatest wish is to become an explorer. Sometimes he says, “I’d like to build a cabin in the forest and live there!” His favorite thing is to fish and to eat the fish for dinner. He once saw a UFO above the town Hveragerði in Iceland and since then has been certain about life on other planets. He believes in elves and trolls and is friends with spirits all over the world. His favorite cartoon as a kid was “Once upon a Time”. Evalia Zilverschoon is a Dutch soprano, studying at the Conservatory of Utrecht. She has participated in productions of Suor Angelica (Zelatrice), Dido & Aeneas (Second Woman) and Die Zauberflöte (Pamina). Next to studying the well known opera repertoire, Evalia works close with contemporary composers. In the opera 'Evalia - Monoloog met een ander' by A. Lemereis and R. Alexander she played the lead role. This opera was specially written for her voice. In the opera 'In the Beginning' by C. Metselaar she played the role of Snake. Next year she will play the lead in a new written opera by A. Lemereis. Evalia worked together with directors Jim Lucassen, Bernd Duenk and Gusta Gerritsen. The experience she has gained during these productions, she will use in the production of La Serva Pardona as being the stage director. Floor van der Sluis (1990) is a Dutch contralto studying in the Master of Music at the Utrechts Conservatory with teacher Henny Diemer. Floor sang her first opera role at De Nationale Opera in Amsterdam when she was sixteen years old, the role of Barbarina in Le Nozze di Figaro by W.A.Mozart. At the DNO she also sang the role of Das Kind in Die Gezeichneten by F. Schrecker in 2007 and in 2011 she sang the role of one of the Prêtresses in the opera Iphigénie en Tauride by C.W.Gluck, with Le Musiciens du Louvre under the direction of Marc Minkowski. This year she is singing the role of Maria in the opera Porgy and Bess by G.Gershwin with the Philips Symfonie Orkest, which will be performed at the Concertgebouw Amsterdam. Before starting singing Floor was a member of a semi-professional theatre group and during this time she developed herself as an actress. Having a passion for theatre, during the operaproductions in which she sang she cultivated a desire for stagedirection. La Serva Padrona has been her debut as a co-stagedirector. Finnish violinist Kirsti Apajalahti has studied with Silja-Raitio Heikinheimo at Metropolia University of Applied Studies and studies currently in Utrecht Conservatory with Eeva Koskinen as her modern violin teacher and baroque violin with Antoinette Lohmann. She has attended several master classes where she has been taught by Tuomas Haapanen, Antti Tikkanen (Meta4 Quartet), Hagai Shaham and Pavel Vernikov among others. Apajalahti won the first prize in Fontys-De Toonzaal Chamber Music Competition in May 2014 with Hombra String Quartet and Juvenalia's Chamber Music Competition with a piano quartet in 2007. She was also in the finals of the national violin competition in Jyväskylä in autumn 2009. Apajalahti has played as a soloist with Tapiola Youth Symphony Orchestra and with the Symphony Orchestra of Sibelius upper secondary school. irsti is interested in playing all kind of music and she has been playing in variety of ensembles throughout her whole life. She has also played in many youth orchestras such as Tapiola Youth Symphony Orchestra, where she was also a concertmaster, and Symphony Orchestra Vivo. Kirsti has also participated in NJO, Dutch Orchestra and Ensemble Academy. In Finland she has played also in semi-professional as well as professional orchestras. David Alonso-Molina (Valencia, 1983) graduated in piano and violin (with first prize) at the Conservatorio Superior de Música “Joaquín Rodrigo” of Valencia. Afterwards he obtained a Bachelor’s Degree in Early Music at the Royal Conservatory of The Hague, where he has studied with Rachael Beesley, Ryo Terakado, Elizabeth Wallfish, Catherine Mackintosh, Kati Debretzeni and Walter Reiter. Additionally he undertook natural trumpet studies with Tomohiro Sugimura, Susan Williams and Graham Nicholson. In 2012 he starts a Master’s Degree in violin, viola and violoncello at the Early Music Department of Utrecht Conservatory voor de Kunsten in Utrecht, under the guidance of Antoinette Lohmann. He is a founding member of Les Esprits Animaux, La Academia de los Nocturnos and La Faretra Ensemble. He plays and sings with groups such as the Bach Orchestra of the Netherlands, Concerto Barocco, La Ritirata, Clarini Ensemble, Contrasto Armonico, Stile Galante, Toronto Classical Consort, Ars Lusitana, etc. He has toured all over Europe, Japan and Canada, performing in festivals like Ambronay, Fringe Utrecht, Ghent, Brugges, Dag van La Petite Band, Nüremberg and Calasparra. He has recorded CD’s for Armonia Mundi and Brilliant Classics. Bas de Leeuw studies harpsichord and classical voice at the Conservatory of Music in Utrecht. After being introduced to the harpsichord by Tineke Steenbrink, Bas began his studies at the Utrecht Conservatory with Siebe Henstra. Bas forms an ensemble with viola da gamba player Toon Renssen and has played with many different choirs and orchestras as a continuo player. In 2014, he was asked to put together a baroque orchestra and thereby became founder of the Nieuw Hollands Kamerorkest (New Dutch Chamber Orchestra). After having had his first singing lessons with Sara Klein Horsman and Harry van Berne, Bas performed as a soloist in several cantatas and oratorio in the Michaëlskerk in Zwolle. In 2013, he was accepted to the Utrecht Conservatory, where he now studies as a baritone with Jón Thorsteinsson. In a production of a Portuguese opera A Vingança da Cigana by A.L. Moreira in Utrecht, he sang the role of Chibante. In the spring of 2014, he also sang as a chorus member in a production of Bach's Johannespassion by the Dutch Touring Opera. Elianne started taking piano lessons in music school when she was six years old with Hans van den Noomen and later Ruud Bouman. From age seven, she started taking cello lessons as well with Wikkie Vis. At the moment she is studying cello vith Ran Varon and baroque cello with Viola de Hoog both at Utrecht Conservatory. In the year 2009 she won second prize at the Herman Krebbers Violin & Cello competition. Next to her studies she played in & toured to China with Euregio Youth Orchestra for talented Flemish and Dutch musicians. Eliane equally enjoys playing chamber music as well as baroque.